These are my preferred products and tips that I use on a regular basis with my clients and I recommend them for you as well! After much trial and error I have found these to be the best contenders with the greatest value. 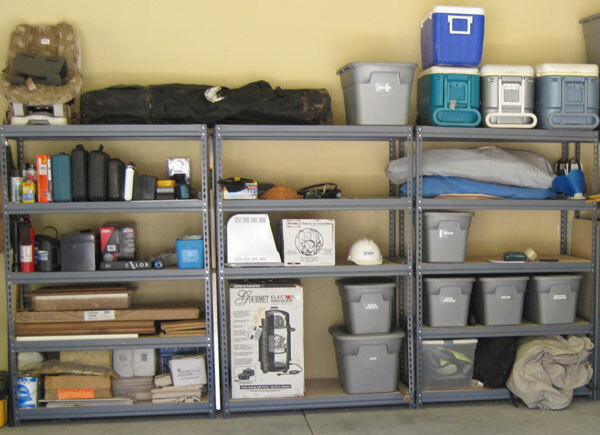 TIP: This shelving may also be called “Gorilla Shelving” or “Boltless” shelving. 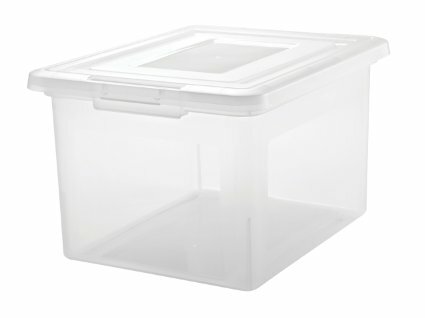 It comes in a variety of sizes and holds up to 500 lbs per shelf! It is extremely easy to assemble and takes about 15 minutes per unit. It is also VERY sturdy and movable. 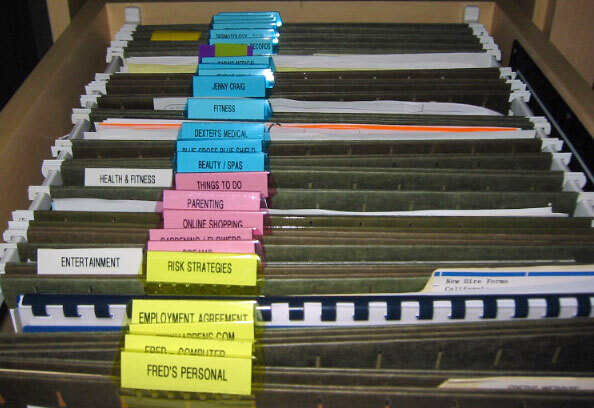 TIP: Use these instead of colored hanging files for a cleaner look. Target’s Up and Up brand of hanging files can for around $6 per box of 25. Office supply stores will have their store brand for around $12. TIP: The Pendaflex and Smead brands are better than generic brands. You will find the glue will pull apart on generic file folders. 86 the manila folders inside the hanging files! They are redundant, messy looking and just take up more space! Simplify! These can be found at any office supply store, however they are $11 – $14 there. You will find the best price in Wal-Mart stores. They are around $6! TIP: These are great for files that you know you will always have indefinitely such as TAXES, EQUIPMENT MANUALS, or KEEPSAKES. 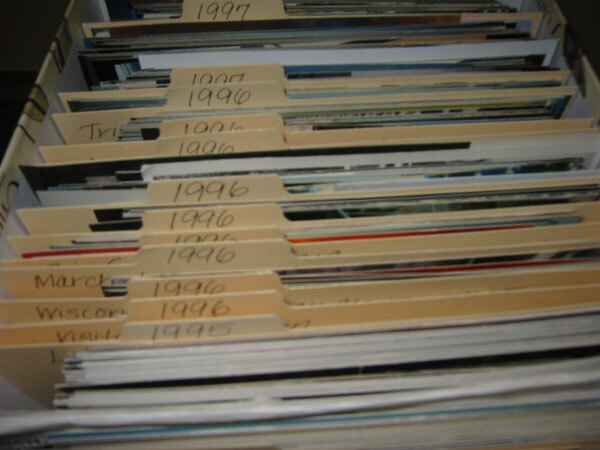 Since they are mobile, you can stack them anywhere, out of the way and you do not have to use up prime filing real estate for these archived files that you will rarely access, but need to keep. Of course you can find these anywhere for about $2.50 per box. These are truly the best way to organize all the photos as they hold up to 1500 photos! You can separate the years and events within the years with tabs and if you ever wanted to scrapbook them, they are all organized and ready for you! TIP: Get all of your photos from the 80’s and earlier out of those magnetic photo books we all used that are NOT acid free and will ruin your pictures. And what about the choice of album? The flowered polka dots aren’t as beautiful as you once thought! Avoid this in the future and stick with photo boxes that are of neutral colors and simple patterns that will be timeless. Click here to see an example of how to organize your photos. Any office supply store will have the inexpensive black plastic ones. Get some! These will functional perfectly until you find the nice, matching, wood ones you would like. Everyone needs document trays on their desk! 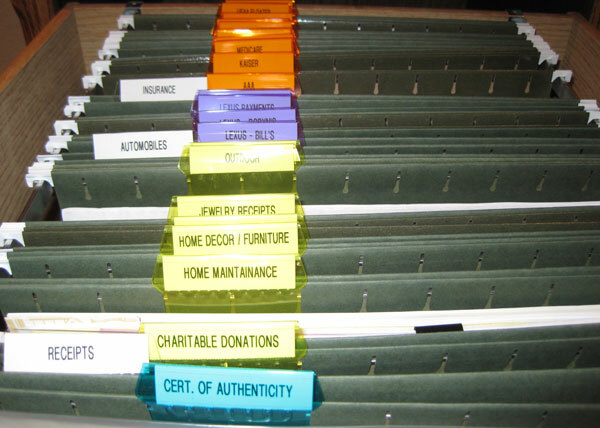 Instead of those piles that are getting higher and higher, try 4 document trays and label them. PENDING (These are items you need to take ACTION on but you are waiting for something else to happen first. For example, when you order something online and you print the receipt, put the printed receipt in PENDING until the items arrives. Then you will not forget nor will you have to handle that piece of paper over and over. Or your upcoming travel itinerary, or you are waiting for a date before you can take action on that item. Etc. Working with you has literally been life-changing. I can’t thank you enough because even then, I don’t think you will ever understand just how much of a difference you’ve made in my (and my family’s) life.